Our local, family run Studio specialising in capturing beautiful family moments and creating something special for you to treasure forever. Beautiful, Natural, Stylish and Fun images created especially for you by Jon our qualified and highly experienced professional Wedding and Portrait photographer. Jon loves to photograph wonderful family moments and produce images we know you will all love and cherish always. Come and see what we have to offer we are sure you will love the results. We have a stunning range of quality products perfect for Weddings and Portraits just waiting for you to make them your own. Whether you are looking for a beautiful album to treasure, a framed portrait with a classical wood finish, a canvas wrap or something bespoke for your wall we are sure we have something you will love. Based from our Studio in the beautiful market town of St Ives, Cambridgeshire we specialise in family portrait photography - amazing images of your family together for you to treasure. Why not call us and experience our natural, relaxed and fun portraits. Jon is a family portrait photographer who delivers a wonderful experience and beautiful results and we offer our portraits either in studio or at your favourite local location. With our clients willing to travel to us from across Cambridgeshire to have Jon photograph their family it makes sense for you to book in with us and let us help you to create something really special for you to treasure always. 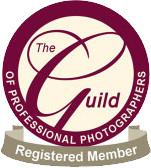 Jon loves being part of your big day - he is a qualified member of the Society of Wedding and Portrait Photographers who will capture your looks, glances, laughter and tears throughout your day and will deliver you an amazing selection of images for you to treasure always. He will also help you to create a selection of extra special images that you will simply love. We offer a beautiful range of Album and Digital options to help you create something truly special to remind you in years to come of the wonderful story of your special day.